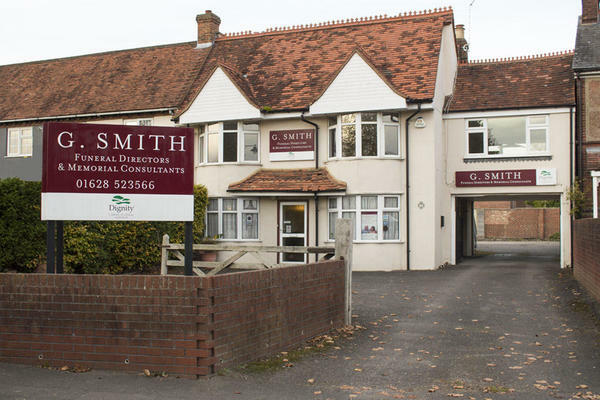 G Smith Funeral Directors in Wooburn Green, High Wycombe, are here for you during your time of need. Our funeral directors specialise in funeral services of all religions and cultures, from traditional to contemporary, we will always be able to help you. We treat every person in our care with same kindness and respect, just as we would want for our own families. We promise you will have our uncompromising compassion, every step of way. Our funeral home is based on the edge of The Green park, which is a grassy and natural setting with benches, offering a peaceful spot for you and your family to find reflection when you visit us. Our phone lines are open 24 hours a day, so please call us at any time. Call us today on 01628 523566 to talk through your personal requirements. At G Smith Funeral Directors, we understand how special life is with those that you love. For us, every funeral is unique and personal. We have a service to fulfil every wish, with every detail carried out with the same uncompromising quality of care. From a traditional service, to a colourful woodland burial, your options are limitless with our Full Service Funeral. If you have a little more flexibility when it comes to arrangements, then we can provide a Simple Funeral for a lower cost. There is limited car parking available at our funeral home. You can find us between Town End doctor's surgery and Ash Tree House dental surgery. Our staff are available 24 hours a day on 01628 523566 if you require our services outside of these hours.